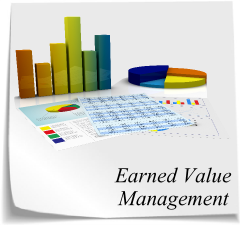 Earned Value Management (EVM) for Project Management & Program Management. Software. Space to share knowledge, definitions, opinions and experiences related with Project Management and Earned Value Management. Please, leave your comments. Have you ever managed a small project?. Off course, small projects are the rule and big ones are the exception. Nevertheless, all of us have learned about how to manage big projects and only a few of us have learned how to manage small ones. If you only have experience in small projects, don’t be ashamed of that. Small projects have small budgets and go very fast. If you don’t think that fast projects with small budgets are difficult, probably you don’t know too much about projects. Sometimes, I have thought that good project managers really are tested in small projects. It’s easy to say what a kick-off meeting needs to have, when you have weeks and even more to prepare it. When you have only a couple of days to prepare it, you don’t have too much time to think about philosophy. In that case, you better know today what is necessary to say, because you will not have another opportunity. The first report of accountability probably is going to be as late as the project. The majority of bills are received close to the end of the project. Human resources efforts are controlled counting (with the fingers of your hands) how many people you can see and comparing with how many people have you planed. Is there a simpler form of EVM that can be used in small projects? Yes, there is. EVM doesn’t mean you need to measure every hour spent in your project. A good way to avoid the task of oversee each hour, is to define mean values and big units of efforts, like month-person. 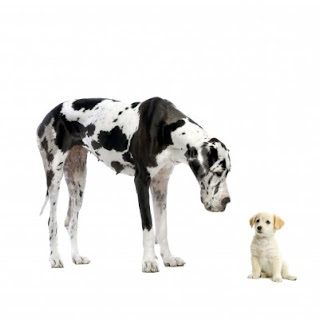 EVM's standard measurement methods include the alternative of LOE (Level of Effort). It means you can measure human resources efforts, like project management, to be accounted automatically when the time goes on. Another simplification is possible. The Accounting Principles say that a cost is accounted when it occurs. No matter if the bill was printed and, certainly it doesn't matter if it was in your hands. Define at the beginning of project a mechanism to formalize the cost, even though the accounting could go slower. Off course, using a good and simple EVMS will be a big help to diminish the efforts to oversee a project. Let's remember that I promised to launch a web based EVMS in July 2011. I’m working on it. 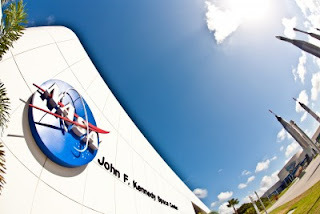 According to the Federal News Radio, recently NASA proposed to scale back its requirements for establishing and maintaining an Earned Value Management System for firm-fixed price (FFP) contracts. It means that for small FFP contracts, there is not going to exist the need of a complete application of the known technique. I have used EVM in small projects for many years with a spreadsheet and an assistant. The Practice Standard for Earned Value Management of the PMI has 50 pages and is very easy to read and apply. The ANSI/EIA-748-B-2007 has less than 25 pages and is equally easy to apply. Nevertheless, I have reviewed some public documents of NASA about EVM and I think that the system is big and complex. Probably, the processes of NASA were designed for projects larger than US$ 50 millions. EVM is a good technique that combines measurements of scope, schedule, and cost in a single integrated system. When properly applied, it provides an early warning of performance problems even for small projects. It is clear that the majority Project Management Systems are not focused in EVM and are not a very good help. That’s why I’m building a simple web based EVM system that is going to be launched on July of this year. Please, send me a message if you want to become a beta tester for it.